1 Who Drives the Camino de Santiago? We’ve organised many Camino-themed driving tours of Spain. Before you start thinking that anybody who drives is not an authentic pilgrim – we all know that. 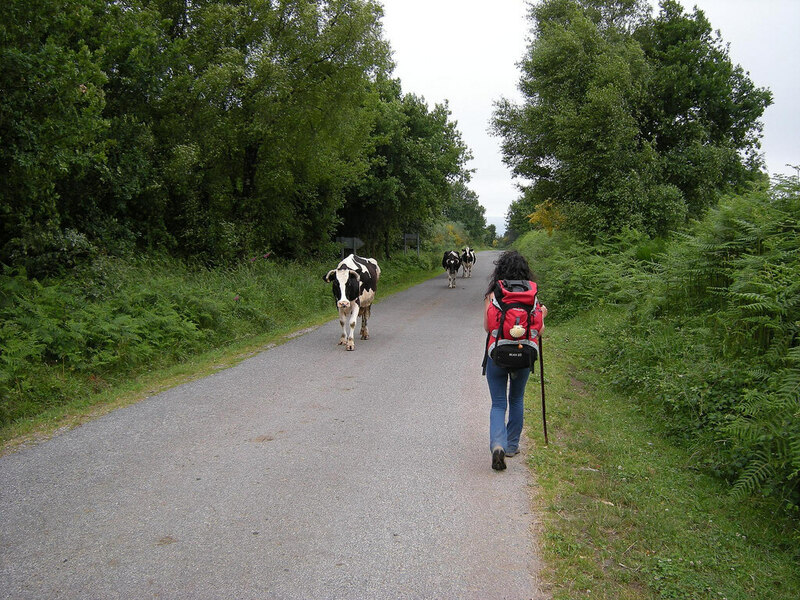 But we are contacted frequently by travelers who can’t or choose not to walk the Camino. Sometimes, it’s families with young kids who want to explore rural Spain and are curious about the Camino. We’ve also had groups touring the North of Spain who are on a tight schedule and decide to walk some parts of the Camino and drive the rest. We’ve also had cases of couples travelling where one walks the Camino and the other drives. The couple part company at their charming hotel in the morning – the walker leaves early after a hearty breakfast– the driver departs a bit later and drives on to the next night’s accommodation. Sometimes the driver walks back along the Camino a few kilometers to a pre-determined point for a late lunch with their partner. Other times they can take in a tour or simply enjoy the comforts of the hotel before meeting up again in the late afternoon. We’ve had lots of classic motorbike and vintage car aficionados who arrive by ferry into the North of Spain or cross the Pyrenees from France into Spain. The Camino’s charming country roads and pretty towns and villages are just what they are after. 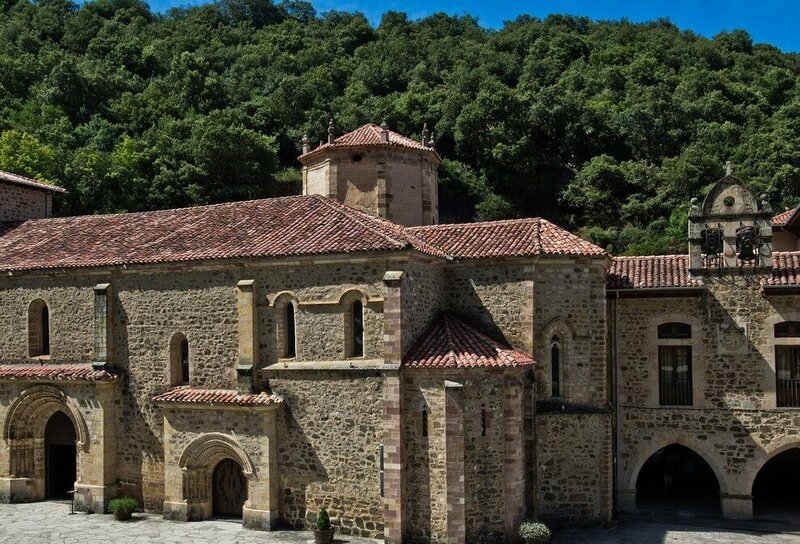 We also have the historians and archaeologists who aren’t interested in the walking per se but want to visit the churches and monasteries along the route, stay in historic accommodation and book in sessions with local historians to understand the impact of the Camino through the centuries. We wouldn’t have believed it ourselves until we did sections of it but driving the Camino is a perfectly legitimate way of enjoying Spain. It’s great for anybody who doesn’t want the hustle and bustle of the big cities such as Madrid and Barcelona. And because most of the driving routes are secondary roads running parallel to many of the original pilgrimage pathways, you really do get a sense of the appeal and the journey. And you can take advantage of the wonderful atmosphere that the Camino brings to any town or hamlet – with the extra bonus of some wonderfully rustic restaurants and welcoming hotels en-route. You also have the advantage of being able to divert from the route during the busier months when accommodation is often scarce especially along the more popular stretches. You can also choose one of the less well known Caminos – there is more than one way and we mean in the logistical sense rather than the spiritual. Where you want to start and what you want to see will dictate your decision. Read on to decide which is the best way for you and your wheels. 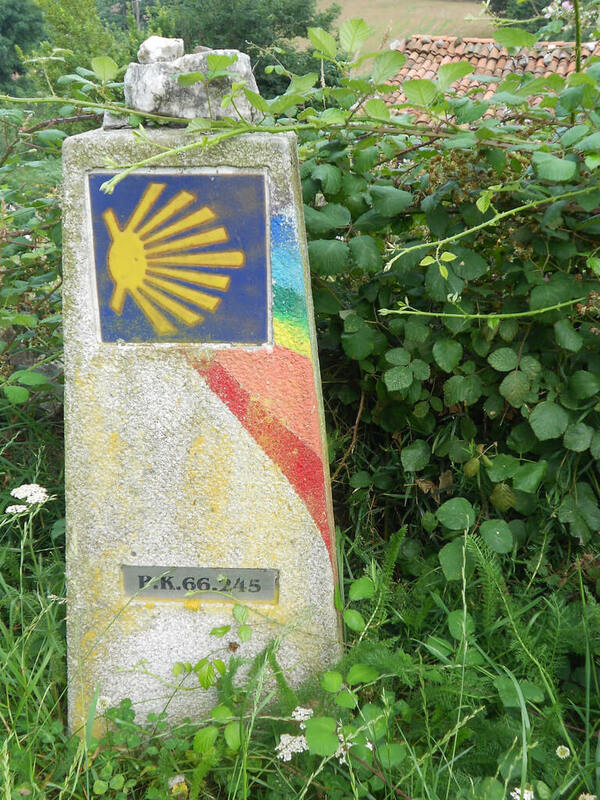 The best known Camino is the French way which starts (for most people) in Roncesvalles and takes in Pamplona, Puente la Reina, Estella, Logrono, Santo Domingo de la Calzada, Burgos, Leon, Astorga, Ponferrada, O Cebreiro, Sarria, Palas de Rei and onto Santiago. Think fields of sunflowers, Riojan wineries, amazing cathedrals and the best tapas in Spain. Because this is the most popular Camino, you’d better also think of lots of people along the route especially during school and summer holidays. Click here to read more about the Rioja winery region. Bikers and drivers coming from the UK tend to do this one picking up the route at Bilbao or Santander but you can actually start back at the border with France at Irun. 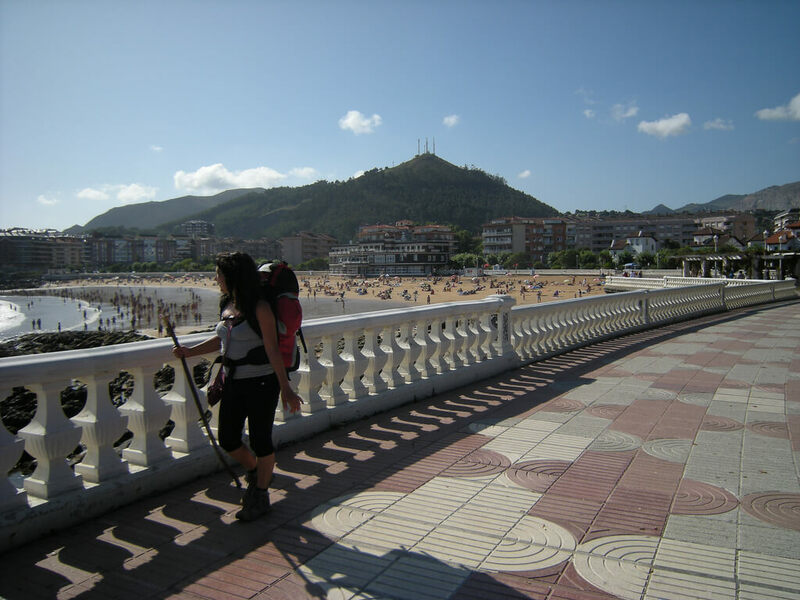 Travel through San Sebastian, Zarauz, Deba, Gernika, Bilbao, Castro Urdiales, Guemes, Santander, Santillana, Comillas, Llanes, Gijon, Luarca, Ribadeo and from here you can chose to go inland via Lugo or stick to the coast. Both routes finish up in Santiago. Think of all the great beach towns you can imagine along the Northern coast and then add another 50 you’ve never heard of that you will fall in love with. We recommend this route to clients that want to avoid hot temperatures in the Summer. If you want a coastal breeze with the hood down, this is the one for you! Click her to read about San Sebastian – one of the obligatory stops en route – and also our guide to Northern Spain and Bilbao. One of the quieter Caminos, the route is just 160 km long although you can extend it by linking up with the French Way. It’s a great way to explore North Eastern Spain. 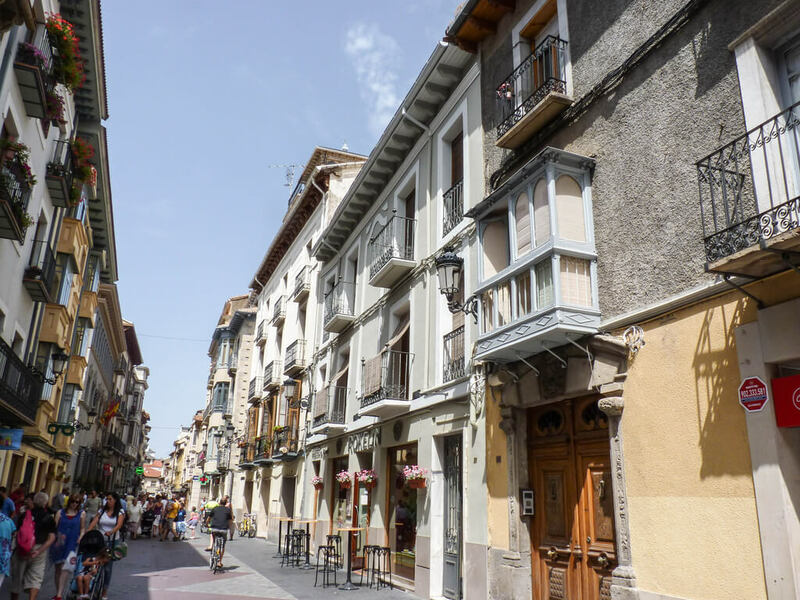 One of the more strenuous routes to walk, in the car you can really enjoy the dramatic Pyrenees at Somport and take in Jaca, Arres, Ruesta, Sanguesa and Monreal and finish at Puente la Reina where you can connect up with the main Camino. Amazing countryside – crisp clean air and wonderful friendly places with relatively few crowds. Cantabria is gearing up for a busy 2016 and an even busier 2017 because it’s a Jubilar Year meaning that the Day of Saint Toribio falls on a Sunday. Big numbers come to see the opening of the Franciscan Monastery’s Door of Forgiveness which happens in this special Jubilee Year. The Lebaniego route (62km) starts at the coastal town of San Vicente de la Barquera and passes inland through Camijanes, Cades, Sobrelapena, Lebena, Cabanes, Tama, and Potes and finishes quite literally on a high in Santo Toribio. (If you want to drive direct to the monastery you can take the La Hermida Gorge route to Lebena and on to Potes). It’s an ambitious incline to the monastery with amazing views of the Picos de Europa. This is where you’ll see the Lignim Crucis (the largest part of Christ’s cross in the Catholic church) and some pretty astonishing views of the Picos de Europa Mountains also. You can choose to explore the Picos de Europa (why not take the breathtaking cable car at Fuente De to get some more picture postcard views) or return back to the Northern Route on the coastline. One other alternative is to drive the even lesser known Vadiniense Camino to Riano (more great views) and on to Mansilla de las Mulas where you can hook up with the French Camino just before Leon. It is a useful interconnecting point if you want to sample a little of each of the main routes and take on a lesser-trodden Camino. Click to read more about the Lebaniego Way and Cantabria. This is a 320km detour from the Northern Way that takes you from Oviedo to Santiago via Salas, Tineo, Fonsagrada, Lugo, Melide and Pedrouzo. Many of the warnings for walkers tend to focus on the mud so if you are doing a drive and walk combination, you should bear that in mind. This is certainly one of the lesser known Caminos so if you want to comtemplate the solitude of the Pilgrimage route without the busy hoards, this might be the one for you. But if you are looking for churches and monasteries and busy market towns, this is not your Camino. Literature suggests the way starts at Lisbon which is 600km from Santiago although we’d recommend starting at Porto which is just 240km from Santiago. 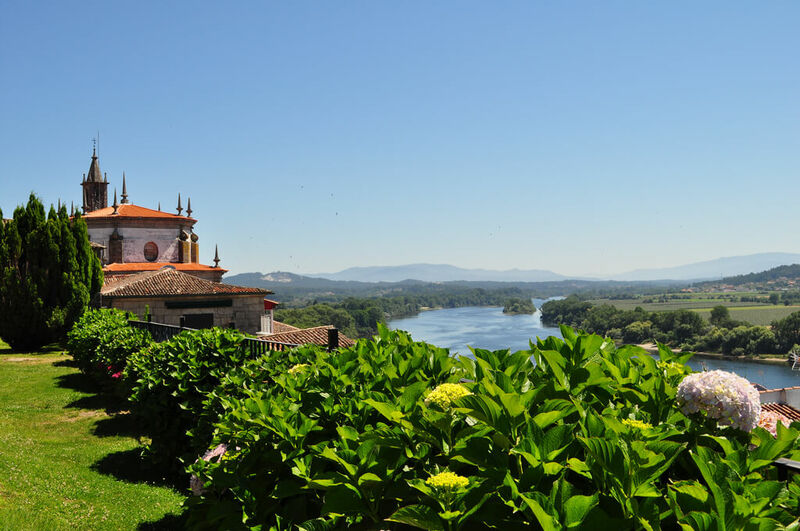 From Porto and its amazing wineries, you’ll pass through Barcelinhos, Ponte de Lima, Tui, Redondela, Padron and Santiago. Tui also written Tuy is one of the most talked about stops on this route but this is not a busy route. Rather like the Primitivo route this is quiet even in July and August. You’ll find lots of English spoken on the Portugese side of the Camino so if that’s an important element, it’s worth considering this way. And from the gastronomy side of things, especially if you like seafood, you will definitely be pleased. 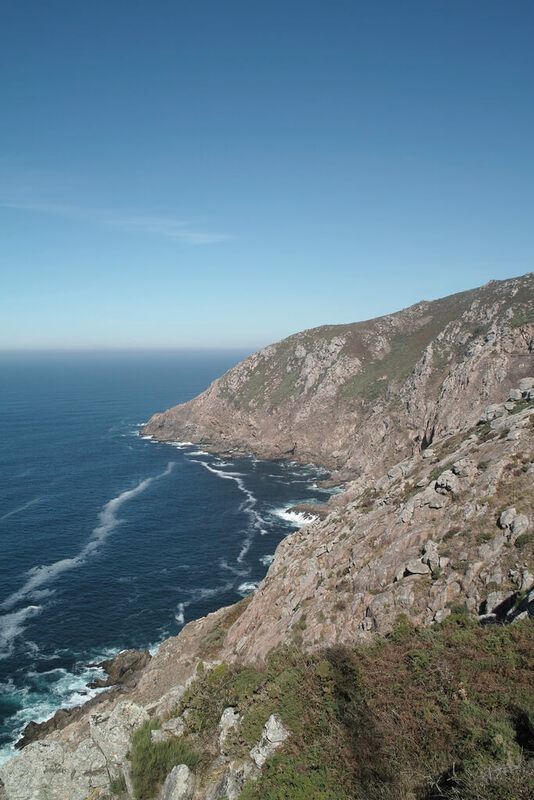 NB There is a deviation to the Portuguese route that weaves around the Rias or Estuaries of Vigo and Arosa. We recommend the Rias as a wonderful driving route especially the Cambados area famous for its Rias Baixas wineries which you can read about here. To read more about Porto and the Norte region of Portugal, click here. 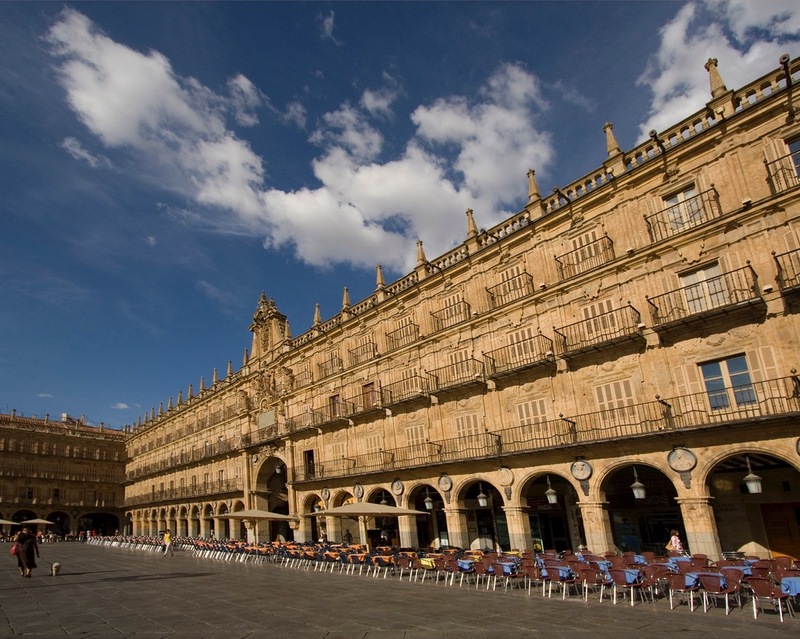 Via de la Plata is an old trading route from Roman times that connected Seville and Merida with Astorga. Today the route is considered to start at Seville and runs for 700km to Astorga passing through Zafra, Merida, Caceres, Salamanca, Zamora and Benavente. 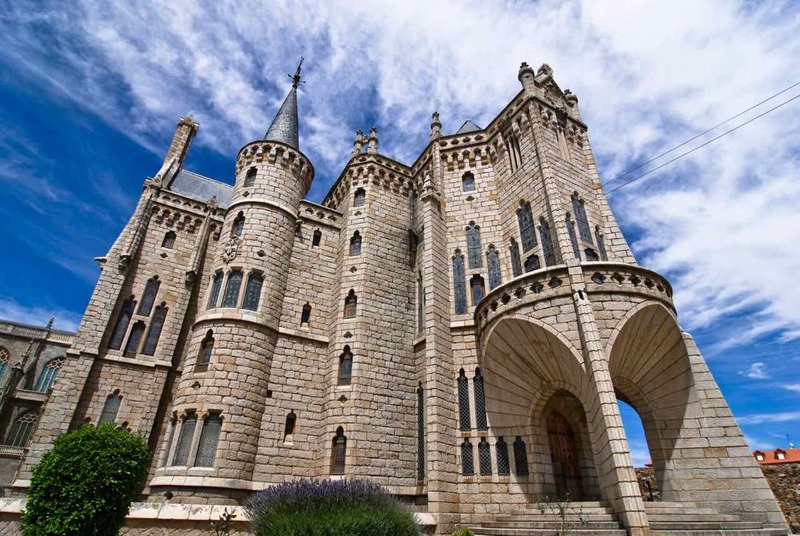 At Astorga you can head for Sarria and continue into Santiago. It’s one of the quieter routes for pilgrims to walk and it’s roads are equally quiet. We would recommend this one during the chilly winter months when you prefer crisp although chilly driving conditions compared to potentially damp wet ones. Click here for our posts on Extremadura which makes a great stopover on the Silver Way. Fisterre is where the earth was believed to fall away and was documented as part of the Camino from the 14th century. It’s often an emotional extra stage for pilgrims who leave a boot or some other memento here. Whilst we wouldn’t recommend this on its own – it’s a nice day trip drive. The 150km triangular route starts in Santiago and takes in Ames, Negreira, Mazaricos, Dumbría, Cee, Corcubión, Fisterra y Muxía. If you’ve got a few days to spare in Santiago – we recommend this one. 11 The Camino of all Caminos? Now that you know which route goes where, you’re be in a better position to choose which one to drive. Unless ‘roadtrip’ is your middle name, then we suppose you could actually do a circular route starting at Irun or San Sebastian and driving the Northern Route west and detouring south to take in the Lebaniego Way, returning to the Northern Route. You can add on the Fisterre Way after reaching Santiago. Drive back the French route in reverse order from Santiago to Logrono and add in the Aragonese Camino if you really want to clock up some miles! That would run to somewhere between 1,700km and 1,850km depending on routes and detours. Whatever you decide to take on, you also need to think about when you are travelling. Pro-tip: If you are travelling in July and August we recommend pre-booking your accommodation – or getting in touch with us to plan your route and hotels. Check out our self-drive Camino touring packages for the French Way, the Northern or Coastal Way, plus the Camino-inspired Parador packages Route 1 via Cambados and Route 2 via Vilalba. If you’re still not clear about whether to walk, hike or drive, read our post on the Many Ways to Do the Camino. 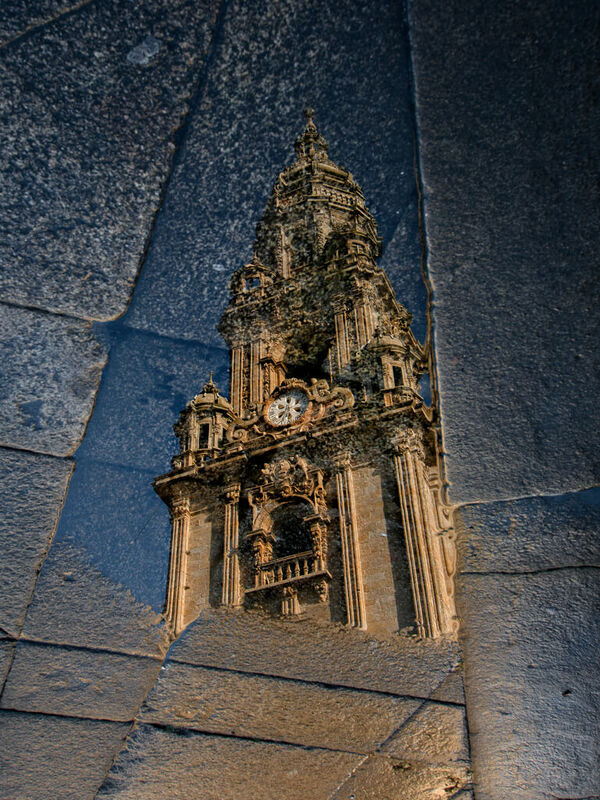 If you’d like to read more of our posts about Galicia, click here. And for more general driving routes across Spain, check out Spectacular Driving Routes in Spain. And read our guide to Driving in Spain & Portugal. Posted in Asturias, Beaches, Bilbao, Camino de Santiago, Cantabria, Castilla Leon, Extremadura, Galicia, Gaudí, Getting Around, Green Spain, La Rioja, National Parks, Paradores, Popular Posts, Rioja Alavesa, San Sebastian, Santander, Santiago de Compostela, Seville, Wineries and tagged Aragonese Way, Camino, Camino de Santiago, Camino Lebaniego, driving, Fisterre, French Way, Galicia, Northern Way, Paradores, Portuguese Way, Primitivo, Pyrenees, Saint James Way, Silver Way.